Scuba diving in India is a relatively new adventure sport but interest from adventure lovers is causing it to grow rapidly. Although India has a long, vast coastline that stretches for thousands of kilometres it does not have a plethora of scuba diving options. However there are some upcoming locations on India’s nearby islands on both the west and east coast where you can explore the depths of the mesmerizing Indian and Arabian ocean and also take scuba diving courses. The pristine water of the Indian Ocean and beautiful marine life make it one of the top destinations for deep sea diving in India. Havelock Island in Andaman and Nicobar has an extensive marine ecosystem and is a perfect place for completing scuba diving courses. The Andaman Sea offers one of the highest counts of fish and coral species on the planet. Your Havelock scuba diving session gives you a chance to swim alongside a mind-boggling array of fish and a profusion of healthy, colourful coral. Havelock Island itself is an idyllic paradise with white sand beaches fringed with coconut groves, and blue, blue water with high visibility. A group of 36 islands in the Arabian sea around 240 metres off the Malabar coast, the Lakshadweep Islands is another fascinating spot for deep sea diving, India. With its blue-green water, colourful fish, coral reef and rich marine species this island offers excellent underwater diving opportunities. Head to Bangaram Island for some of the finest beaches in the world and enjoy the exotic underwater life. Maharashtra is blessed with valleys, verdant forests and beautiful beaches where you'll find peace and happiness above water, and magic and wonder underwater. The town of Malvan with its gorgeous Tarkali beach is a popular tourist destination in Maharashtra where you can dabble in some scuba diving and snorkelling and explore the picturesque coral reefs and see varieties of colourful fish. The water here is clear and you can expect to see star fish, cephalopods, sea urchins and reefs on your underwater dive. Enjoy diving in the beautiful waters of sunny Goa where you can marvel at the variety of fish and coral native to the area. If you're lucky, you might spot some curious dolphins. They're known to come to visit divers in this area! Some fun dives include a refresher session in a pool, before heading out into the open ocean. Based on your experience, your dive master will lead you through the most interesting parts of the dive site, showing you some jaw dropping topography, cracks and rocky swim-throughs. Goa also has numerous scuba diving courses that you can take and underwater diving sites where you can uncover the mysterious remains of sunken ships. Other scuba diving sites in India are located at Kerala, Tamil Nadu and Puducherry. Karnataka has clear tropical waters where you can catch a glimpse of turtles, stingrays, and stone fish. If you're not a diver, but you're curious about the underwater world, this Discover Scuba Diving (DSD) trip in the Andamans is perfect for you. You'll get a briefing about the equipment and basic techniques, followed by a practice session in shallow waters. This gives you time to get used to being underwater. After that, you'll head out from the shore itself to explore wonderful coral reefs and swim along the fish. NOTE: There is no boat ride for this version of the Discover Scuba Dive in the Andamans. You'll be trained on Beach 2 and will wade into the water for your dive. There's something so thrilling about having the freedom to move and breathe underwater. Scuba diving allows you to explore the mysteries of a part of the world that not many see. With your new skills, you can take a closer look at the wonders of teeming coral reefs, brightly coloured fish and scores of other wonderful creatures. And you're doing all this in the tropical, azure waters of the Andaman Islands. The Discover Scuba Diving (DSD) Course is one of the world’s most popular courses. For those of you who want to give scuba a try, but are unsure about committing to a full certification course just yet, sign up for a DSD. This trip includes a brief orientation to the equipment, learning basic skills in shallow water, followed by a closely supervised dive over the beautiful coral reef. DSD skills earned during this trip may be credited towards the PADI Scuba Diver and Open Water Course. If you enjoy snorkelling and are fascinated by the sea, you'll be thrilled by the Scuba Diver course. It gives you the freedom and mobility you need to experience the magic of the underwater world. 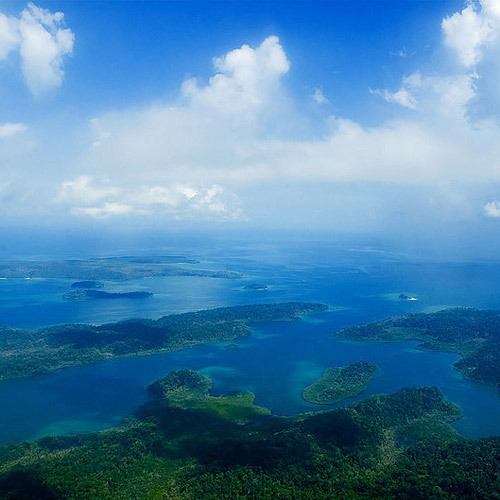 All your training takes place in the idyllic surroundings and tropical waters of the Andaman Islands. In this 2-day certification course, participants complete 3 theory modules, 1 day of shallow water skills training and 2 open water dives up to 12 meters, to receive a permanent licence that allows you to dive to 12 meters or 40 feet under the supervision of a dive master or instructor. Divers are given a highly personalized experience, where instead of a multitude of divers crowding the boat, the focus is on each diver's individual comfort. Because it is only for two days, this is a great option for those with limited time or as part of a vacation. NOTE: You should know how to swim if you want to do this course. While you don't have to be a great swimmer, you will be required to swim 200 metres (at your own pace) in open water, and float for 10 minutes. If you've tried diving before, you know there's nothing more exciting than being underwater, and able to breathe freely while you explore coral and admire the colours. This Open Water certification course teaches you the skills (and gives you the required papers!) to take it up a notch. This Open Water Diver certification course teaches you the skills and techniques required to go scuba diving to a maximum depth of 18 metres or 60 feet. You'll train in 5 theory modules, confined water skills, and finally, the highlight of your certification, 4 open water dives. You'll learn the essentials, from breathing underwater to managing your equipment, and then you'll have a chance to practise it all in 4 dives in the open sea, under the guidance of an instructor. With this certification, you'll be able to go deeper and see more than ever before. The PADI Open Water Diver Course gives you an internationally recognized license to dive anywhere in the world. You'll be taught how to dive to a depth of 18 metres or 60 feet, and will discover an incredible new world of iridescent marine life, sprawling coral reefs and mysterious shipwrecks. This Open Water Diver course in the Andamans teaches you the skills and techniques required to go scuba diving to a maximum depth of 18 metres or 60 feet. You'll train in a mixture of theory (5 modules), 2 days of shallow water training, equipment orientation and troubleshooting techniques, and finally, 4 open water dives with water skills exercises. The course allows you time to learn at your own pace and get comfortable, before taking you into open water. 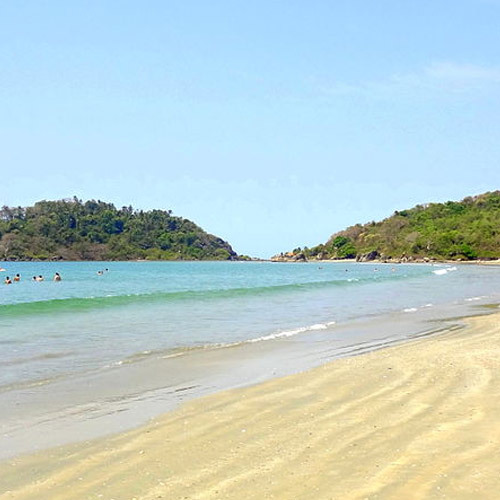 Enjoy diving in the beautiful waters of sunny Goa. This fun dive includes a refresher session in a pool, before heading out into the open ocean. Based on your experience, your dive master will lead you through the most interesting parts of the dive site, showing you some jaw dropping topography, cracks and rocky swim-throughs. You can also marvel at the variety of fish and coral native to the area. NOTE: Participants need to be open water certified divers or higher to book this trip. This Try Dive in Goa is a fun half-day activity that lets you learn the basics of scuba diving and do one short dive, supervised by an experienced instructor. It's the perfect way to see if you have an aptitude for diving or if you'll be comfortable underwater. And where better to learn than in sunny Goa, where the water is warm, the underwater world is friendly, and there's always a beer waiting for you at the end of the day! IMPORTANT: This is not a fixed departure trip. It requires a minimum of 2 pax for a booking confirmation. On the boat, you'll be provided with fruit, drinking water, and biscuits. A packed lunch is given to you on your return. You'll also return with photographs of your scuba dive in Goa. This introductory program is perfect for those of you waiting to experience your first scuba adventure. The program includes a training session in a pool on day 1, followed by supervised dives in the blue waters of the Arabian Sea on day 2. IMPORTANT: This is not a fixed departure trip and requires a minimum of 4 participants for booking confirmation.